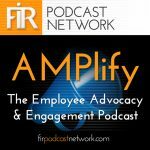 So you have an employee advocacy program. Your people are fully engaged and active and they are driving loads of traffic to your social sites, your website and more. What next? What do you do with that traffic so that it has a value-add beyond brand awareness. You need to create leads. Listen as Jason Sibley, CEO and Head of Campaign Strategy at Creation Agency shares five of his top tools to turn traffic into leads. What can you do to help create conversion without turning off your audience? First tool is to understand your customer by using social research. Know the customer where you are interacting with the customer. What do your customers care about? Identify the behaviors of your customer to help guide your efforts. Second, convert those customers with content. Important to make sure that the content you share is valuable to them. Third, get leads from reads. Grab them while they are learning. Don’t barrage them, let them absorb some of the content, even if the content isn’t yours, then grab them during that process with a little pop up or similar tool. Ask them the reader/potential customer for their email to get more great content along the same lines as what they are already learning. Fourth is what he calls invisible remarketing win back…without them ever needing to visit your website. Fifth is nurture, nurture, nurture even after they become a customer. You need to follow up and keep developing that relationship with the lead even after you have hooked them.